July at Walt Disney World is pretty amazing for the 4th of July fireworks shows at Walt Disney World. Seeing the July 4th fireworks at the Magic Kingdom is one of those bucket list kind of things. 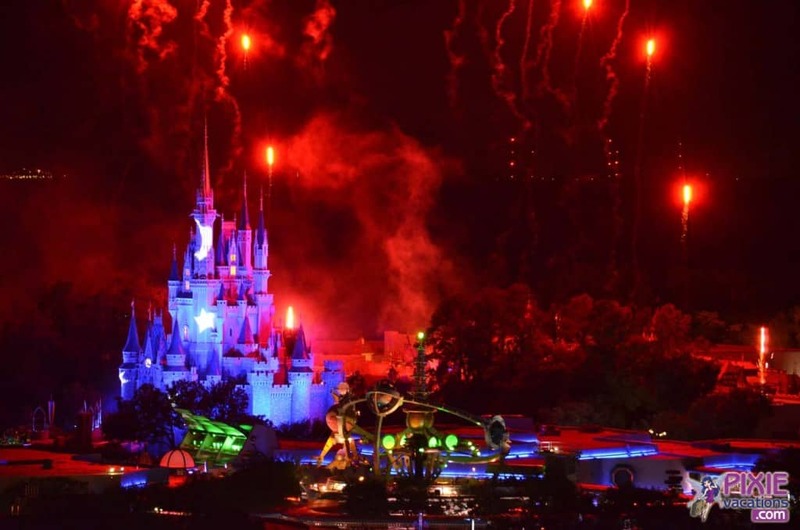 Walt Disney World does an amazing job with 4th of July firework presentations. But the down side to seeing the fireworks at Disney Worls around the holiday is taht everyone else also wants to see the fireworks at Disney. Your July crowds can be heavy, especially around July 4th. I would recommend staying at a Walt Disney World monorail resort and watch the fireworks from your resort. 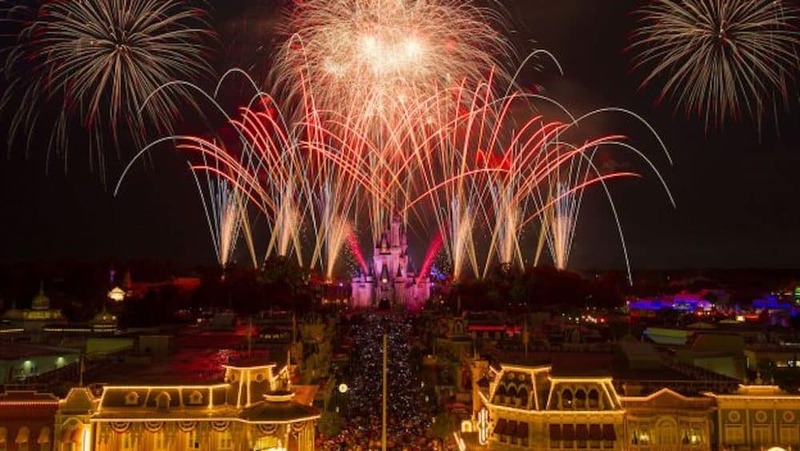 This is nice because you are not shoulder to shoulder with everyone in the Magic Kingdom for the July 4th fireworks show. Also the July fireworks on the 4th are 360 degrees so seeing them from the resort is pretty awesome. July use to be a massive heavy time of year for the Disney parks. But a great deal of people have decided to visit Disney in the Fall. This has made Summer crowds lighter. Now July still is pretty heavy at times, but not like it was years ago. July can be hot in Orlando Florida and the rain showers and humidity can be difficult to deal with. So be sure to stay cool, drink lots of water and bring that poncho. Be patient and book your Disney Fastpasses early for July at Disney World travel. July at Walt Disney World is light on events. Now food and wine event, etc. 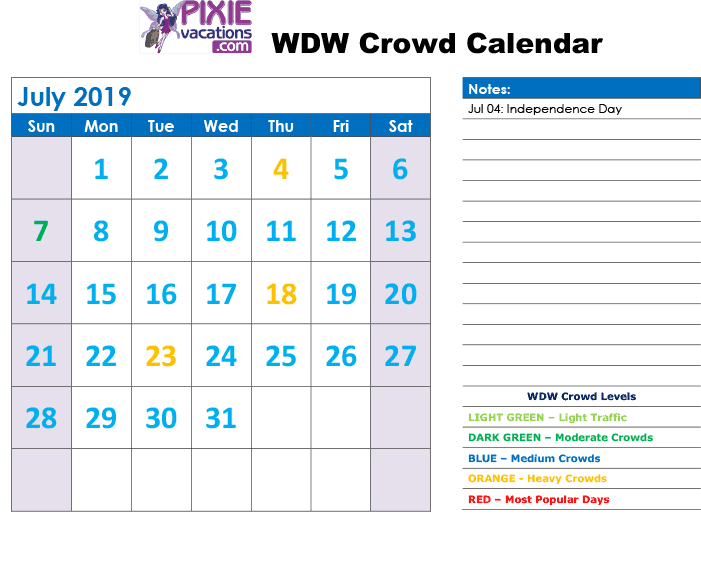 But of course the 4th of July week and days around July 4th can pick up in park attendance and increased crowd levels at Disney. We still don’t except crowds as large as in years past, except on July 4th of course.